I can just picture a big candle-lit table with people in robes sitting around it chanting about how the secret must be kept safe. I think even from my place far away from New Mexico I'll feel the chill of the dead reawakening. I played that damned game extensively, and it deserves every bit of hate and scorn thrown at it. Should these foolish people disturb the grave of the Unnameable One, I've no doubt it'll return to life, an inhuman mountain of garbage that will consume us all. It sounds like a government conspiracy is actually being beneficial to humanity for once. I have no doubt that the bureaucracy will keep them locked in a web of paperwork in order to protect this secret. Or at least, until they can safely relocate the danger to a new, mysterious crypt. After all, it's been several decades, and those mystic containment seals don't hold forever. So do archeologists also have to file plans with the Solid Waste Bureau before going out and looking for ancient burial sites? If not, then what's the time-gap limit that makes such bureaucracy irrelevant? Well they're digging in a landfill so precautions have to be made so that they don't dig up and leave exposed something that could be harmful, and you always need permission from the land's owner if you want to excavate anywhere in the U.S. In the case of government land there are a lot of agencies that come into play, even if it's just some Montana wasteland you want to dig for Dinosaurs in. Only Archeologists looking to explore New Mexico. Next up: Indianna Jones and the Kingdom of the Crystal Meth Pipe. You have a very interesting interpretation of what goes on behind closed doors in the New Mexico bureaucracy. OT: Of course, there is a logical explanation. You see, the people who know where the site is have always used it as a place of power. 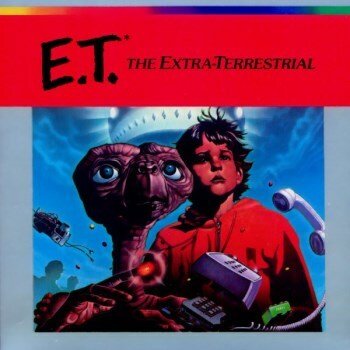 Unwittingly, those who dumped the cartridges failed to realize...that E.T. bears some resemblance to Tsathoggua. In the same manner that Cthulhu idols are a representative of the lord of R'lyeh, so too would a huge amount of Atari games bearing that alien face be a focal point of power leading to N'Kai, where Tsathoggua dwells. Though the Old One is not the worst of his kind, he is still terrible, and cultists do not give up power easily. Therefore, they will protect New Mexico's secret to the hilt. I don't get the hate against this game, man. Nobody seems to have much of a problem with fetch quests these days. What did people want back then? E.T wasn't exactly a warrior and I don't think the kid knows karate. Short answer: Even by Atari standards, the game was awful. Games like Breakout, Asteroids, and Yars' Revenge can hold up on their own merits even today. ET on the other paw, was just plain bad. I. I never actually thought the game could have been that bad, but it is! It actually is. Amazing. How does a game like this get published? Did no one stop to ask "How does one beat the game? And furthermore, what is it that you're supposed to do?" Perhaps while the companies are waiting on their permits, they can go on a side quest to find out where the Swordquest prizes are.